My "Nutella" recipes always prove popular and it's perhaps unsurprising- after all, hazelnut and chocolate are a match made in heaven! 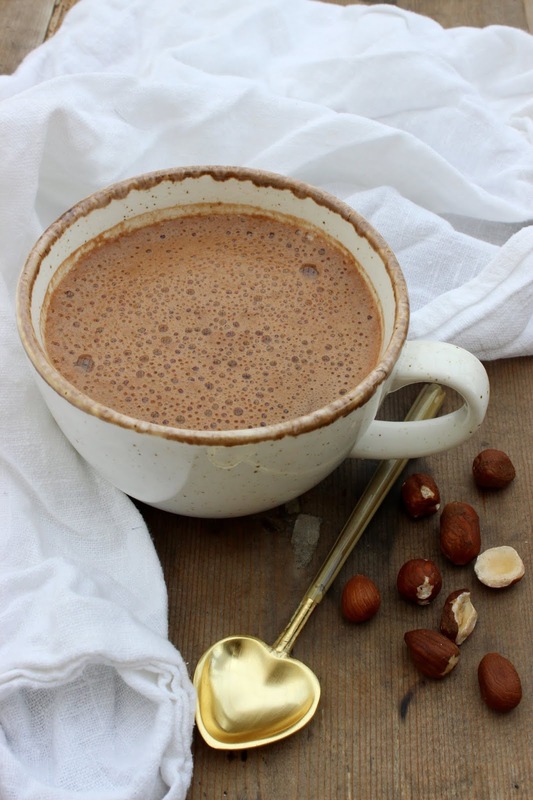 This "Nutella" Hot Chocolate is the perfect autumnal drink. It's warming, comforting and captures that classic indulgent flavour, helping to satisfy sweet cravings and what's more, can be made in a matter of minutes. 1) Place all of the ingredients in a small saucepan, stir and warm over a medium heat on the hob, until warmed through. Use a whisk or milk frother to create an indulgent foam.